With all the fuss around wireless connectivity for the Internet of Things (IoT), it’s sometimes easy to forget that the backbone of industrial systems is built on wired fieldbus technologies. While some of those legacy fieldbus technologies are starting to give way, EtherCAT, the “Ethernet Fieldbus” is not only continuing to succeed in industrial markets, but also preparing for integration with wider Industry 4.0 technologies and deployments. 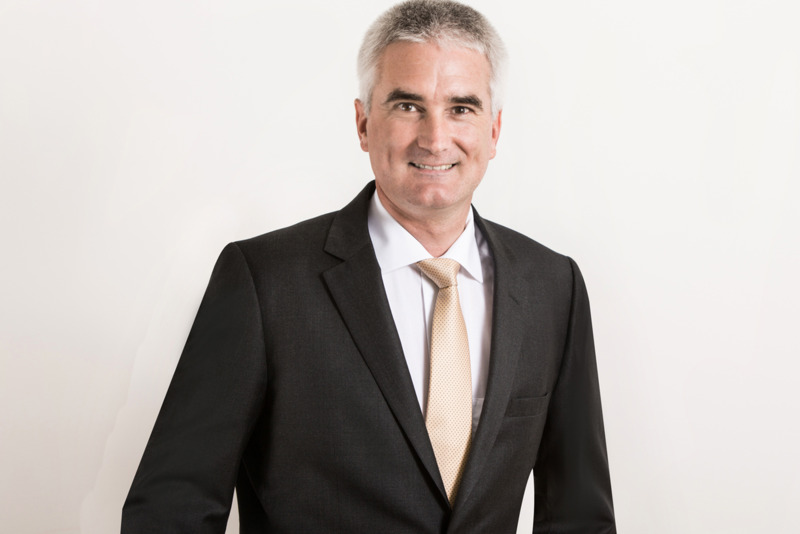 Martin Rostan, Executive Director of the EtherCAT Technology Group, explains. What will the role of fieldbuses and Industrial Ethernet be as Industry 4.0 takes hold? ROSTAN: The core of Industry 4.0 is communication. There are certain communication levels where wireless Ethernet provides sufficient determinism, bandwidth, and reliability, but when it comes to process data communication, hard real-time capabilities with short cycle times are required. This can only be provided by fieldbuses and certain industrial Ethernet technologies. Remind us about EtherCAT technology and how its topology helps separate it from other Industrial Ethernet protocols in terms of performance, cost, and safety. ROSTAN: EtherCAT is characterized by its unique functional principle: Instead of sending one frame to each node and receiving a response from each node in every cycle, EtherCAT sends just one frame through all the nodes. Each node extracts its data from that frame on the fly and can insert data into the very same frame as well. So all of them share one frame and one overhead, and as a result, we optimize the bandwidth utilization and get the best possible performance out of a standard Ethernet frame. This makes EtherCAT by far the fastest industrial Ethernet technology and the only one that supports hard real-time without any special chip in the master – which makes every embedded µC-Board with an Ethernet port an EtherCAT master by hardware. Since nodes can have multiple ports, they can support any topology without using switches, which further reduces costs. And since EtherCAT requires no IT expertise, it is very simple to use: we call it the Ethernet Fieldbus, which not only mirrors ease of use, but also mirrors the low costs. Last but not least, the Safety over EtherCAT protocol allows one to cover functional safety applications with the same bus system as well. Recently, the EtherCAT Technology Group announced a partnership with the OPC Foundation to help facilitate interoperable, continuous communications through all layers of industrial networks. Can you provide some background on the work there, and whether it will require any significant changes to EtherCAT technology? 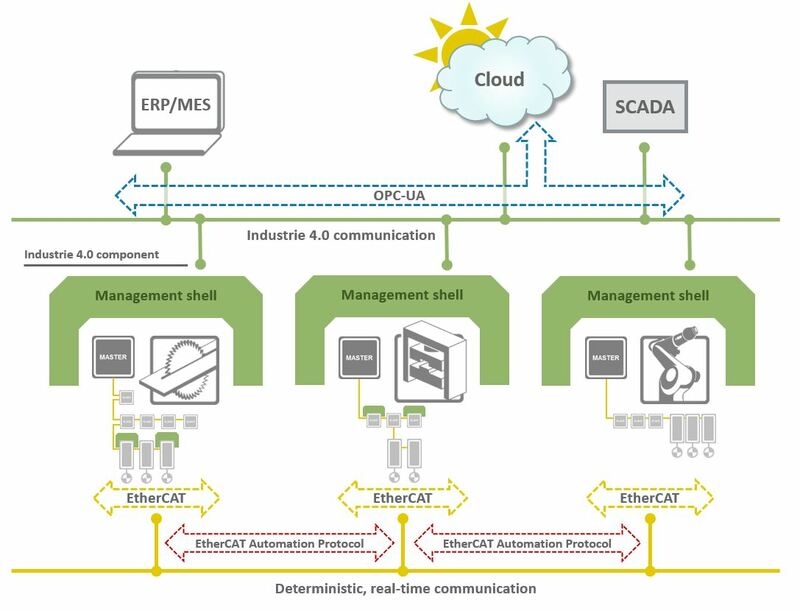 ROSTAN: With OPC, we are working on interface specifications that will enable EtherCAT systems to publish process data to any Industry 4.0 capable entity, including but not limited to cloud services. Furthermore, such entities can also be granted access to all parameters and settings within the system, which makes the system fully remote manageable. This will enable smooth and seamless integration of EtherCAT-based systems within any digital factory environment. As mentioned, the core of both Industrial IoT (IIoT) and Industry 4.0 is communication: reliable, fast, real-time, and deterministic communication is required at the controls level. This is exactly what EtherCAT is all about, so there is no need for any fundamental change since EtherCAT already meets these requirements. We may have to add certain IoT and Industry 4.0 interfaces, and perhaps also data description methodologies once they are fully defined and stabilized, but the EtherCAT core technology itself is completely stable and has been since 2003. In fact, we consider this a major advantage of EtherCAT: while most competing technologies have versioning issues, members of the EtherCAT Technology Group can rely on a technology where features are added, but the version has never changed. This is one of the reasons EtherCAT has the best adoption rate and the widest product range in the industry. Given the strength of EtherCAT, is there an end to fieldbus technology in sight? ROSTAN: Yes and no. Yes, since most new control architectures are now implementing modern Ethernet-based technologies such as EtherCAT; it’s easy to implement and use, it’s incredibly fast, it provides many features that legacy bus technologies cannot support, and, of course, it’s a very good fit for embedded systems. And no, since EtherCAT is a fieldbus technology. The legacy bus technologies will remain in place for a long time, too.